Class 3 joined with Sheriff Hutton and Stillington Primary Schools this term and enjoyed their writing workshops. The first workshop was held at Sheriff Hutton School and centred on ‘The Song of the Witches' from Macbeth. Children researched different plants and animals and their parts before writing rhymes using these details to create some wonderful poetry. The second workshop was held at Husthwaite and started with a video of the moon landing! Children then discussed and used their ideas to produce some descriptive diary writing on the theme of space. A fabulous use of a wide range of vocabulary produced some amazing work! Class 2 have been learning about the qualities of persuasive writing. They wrote letters to the Government persuading them to send aid to children in Africa; their letters certainly convinced Miss Bennett! Children are now eagerly awaiting a reply from Penny Mordaunt, the International Development Secretary. As part of the school topic on inventions, class 1 are looking at space, investigating the solar system and learning about all the planets and the astronaut Tim Peake. 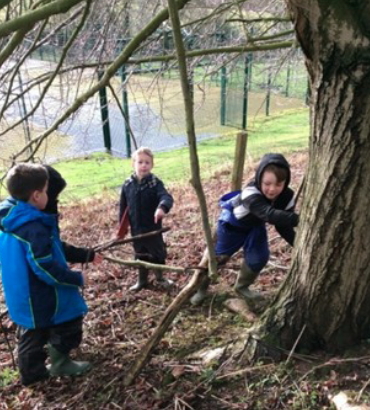 Forest Schools continues on a weekly basis. Currently Class 1 are enjoying their weekly session with Mr Houghton learning about direction, compasses and coordinates. 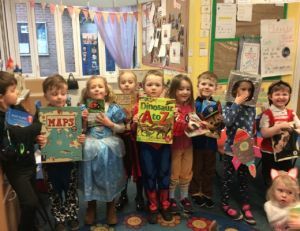 We celebrated World Book Day with a focus on non-fiction books. Children brought in books ranging from dinosaurs to the human body, farming to world maps. Children had to research and learn a new fact - lots of interesting facts were discovered! Although fancy dress was optional most children joined in the occasion, wearing some wonderful outfits. We welcomed Mrs Warriner, who has joined us as a teaching assistant and PPA teacher until the end of the academic year, into Class 1. Mrs Warriner is an experienced teacher and is familiar with Husthwaite having worked as a class teacher and supply teacher here before. Mrs Warriner's first week included making pancakes with the children to celebrate the start of Lent. Lots of fun was had by all. 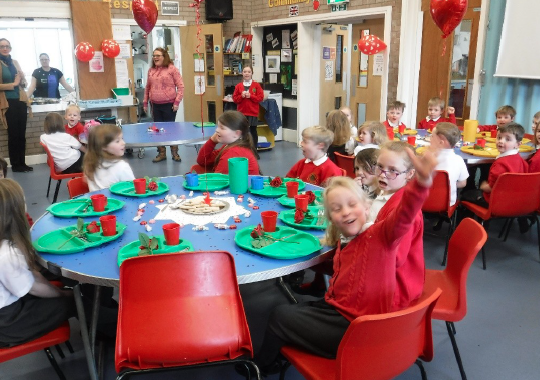 Mrs Bucknole, our school cook, helped us celebrate Valentine's Day by cooking a delicious red themed school lunch with a chocolate treat for pudding and a red rose for everyone. Children were delighted and gave a huge 3 cheers as a way of thanks. Four pupils represented the school at the District Cross Country with congratulations to Daisy who finished first in her age group. Daisy will now represent the school at the area finals at Dalby Forest. Year 2 attended a Cluster Multi-skills event at Easingwold where they took part in 5 activities. Well done to Joe who achieved the medal for best thrower. Years 5 and 6 participated in the Cluster Quick Sticks hockey competition. Five children were selected to take part in a cluster Change4Life event. They enjoyed games where they were encouraged to participate in a team and gain confidence to try different skills culminating in designing their own team game. Lots of active fun! Fundraising this term has included a non-uniform day for ‘Freddie's fight' raising £190, a School Valentine Disco for school fund and children wore red as part of our involvement in Red Nose Day. The NSPCC will hold an assembly and workshop at the start of April based on their ‘Speak Out, Stay Safe' programme. A non-uniform day will raise funds to support this children's charity. This half term our Christian Value is Humility through the theme of Christian Roots. These values were also considered when all the Federation staff and governors spent time on writing a joint vision for the Federation. This is now on the school website and reflects what the Husthwaite and Sessay CE Primary Federation strives to provide for all our children. The school said a big thank and a sad goodbye to Lesley Seaman and Juliet McDougall who ran Friday's Unfrazzle coffee morning on behalf of the Church for numerous years. It was started by Rev Ian Kitchen approx. 15 years ago and although it has changed over the years, the school is extremely grateful for the support and dedication shown by Lesley and Juliet. We wish them well. We ae still running our ‘Unfrazzle' coffee mornings for the local community in conjunction with our toddler and parent ‘Stay and Play' session, 9-10am on Fridays. Everyone welcome. As we approach Easter, arrangements are being made for the school to participate in ‘Experience Easter'. This is an initiative which brings together local churches, the school and community to share the story of Holy Week and Easter in a practical exercise. The event is being organised by Rev Liz and will take place during the morning of Wednesday 10th April at St Nicholas Church and the Methodist Church. The Den Before and After School Club continues to be popular with our families. The warm spring weather has enabled Mrs Bucknole to treat the After School Club to some time in the play park. 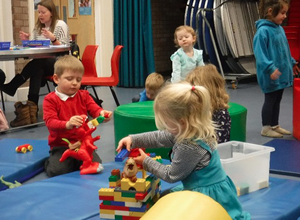 Our weekly stay and play toddler sessions continue to take place every Friday morning from 9-10am.Recent activities have included various crafts, gluing and colouring pictures, soft play and of course, just generally having a lovely time. As the warmer weather takes hold, we hope to extend some activities into our lovely outside space. All pre-school age children are welcome to attend these free sessions. Parents/carers are welcome to stay, join their child in the activities and enjoy a chat and a coffee. A great way for children to meet others and chance to show them what is inside a school! Please just come along - no need to book.